Bootstrapping – Boon or Bane for Product Startups? On August 14th, 2014 iSPIRT, the industry enabler that is creating a vibrant eco-system for promoting, encouraging, supporting and enabling product companies out of India, organised a very useful online discussion on the concept of bootstrapping. 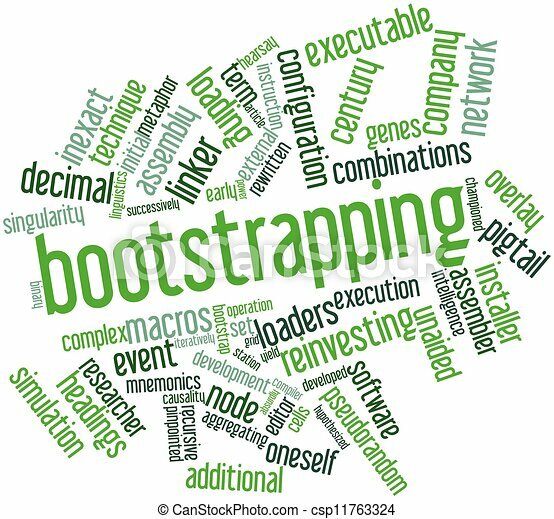 Titled ‘Bootstrapping – Boon or Bane’, the discussion explored various facets of bootstrapping, including its relevance, benefits, limitations, and challenges. Sharad Sharma, founder of iSPIRT kicked off the conversation with a very incisive observation that the startup community, largely driven by the media, tends to celebrate and showcase startups only when they receive angel or institutional funding. How true is that!!! There are a number of very successful and modestly successful startups, many of who are deserving of the praise and showcase, but they get reported about only when they close an investment round. (I am not sure if the media is to blame entirely. I suspect companies too reach out to media only after they have received an investment round, perhaps because they believe that funding makes the ‘story saleable’ for the media.). Avinash Raghava, startup eco-system builder and the driving force behind iSpirit shared that over 65 of the 140+ companies they have profiled, were indeed bootstrapped. Of course, some of them may have tried to seek VC money and started to bootstrap if they were not successful in raising capital. However, that they have succeeded in being showcase-worthy by iSPIRT, is indeed commendable. The panel explored whether bootstrapping & angel/VC funding are either-or strategies or is there merit in a hybrid model. While the panel agreed that building a business with customer’s money is nicer than building a business with VC money, Bhanu Chopra, founder of Rategain(who has built a globally successful company that was bootstrapped) and Sharad Sharma suggested that there are no set rules, and companies should evaluate their strategies depending on the merits of the options available. (It is relatively easier to bootstrap for companies that address enterprise customers than B2B companies.). Ramesh Loganathan of Progress Software added that while startups have to evaluate what’s the right way for them to fund their venture, it’s not just about the money, but the mentoring and advisory that comes along with that money, that is more valuable at the early stages. First-time entrepreneurs who have no experience of building a business, or even a full product, can benefit enormously from the perspectives and learnings of more experienced individuals. Now, whether this advice is available with or without money is immaterial. Bootstrapping is not equally relevant or appropriate for all concepts/products/services: In some cases, it maybe possible to build the foundation or a company through bootstrapping, but you may need external capital to grow. In some cases, it may be possible to grow at a healthy rate through bootstrapping, and internal accruals may enable the company to even grow at a healthy rate. However, Bhanu elaborated that at some stage, the company may need to explore inorganic growth and may have to seek external capital. Shekhar Kirani of Accel Partners, who has a unique perspective as a member of two hugely successful bootstrapped ventures, and is now a part of the investor community, was of the view that since all ventures need capital, the entrepreneur has to make an assessment on whether the idea needs VC money or are the idea & market conditions more suitable for bootstrapping. He further explained that companies like Facebook, Twitter, Quora, etc. could not have been built without VC money as these businesses needed to invest a lot to build scale so that monetization opportunities arise. He added the once there are others in the market offering similar benefits, it is almost always difficult to leapfrog without adequate capital, and in such situations, bootstrapping may not be the right approach. 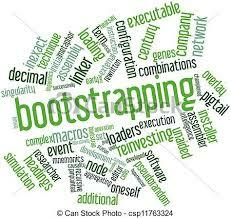 VCs have a lot of respect for companies that are bootstrapped.Bootstrapping demonstrates the entrepreneur’s commitment and conviction, both critical parameters for investors. In fact, Shekhar shared that even in the US, Accel invests in a number of companies that have built a reasonably sized business through bootstrapping, and Accel was the first institutional investor for scaling up. Bootstrapping forces you to focus on building a strong ‘business’:For, Ahimanikya of DocEngage, one of the benefits of bootstrapping is that you are forced to think of revenues from day one. He added that it has become fashionable for entrepreneurs to seek VC money to pay for their lifestyle or for their own salaries, and felt that this approach, which does not have an element of risk-taking by the entrepreneurs was damaging for the startup community. Bhanu mentioned that bootstrapping allowed them to focus on building a fundamentally strong product with a strong customer value proposition. It also instilled very strong fiscal discipline within the company. All panelists agreed that for bootstrapping to be successful, it was important for an entrepreneur to be adequately prepared to multi-task and to be a multi-skilled. Else it becomes very difficult to sustain a bootstrapped venture. Panelists also agreed that at some stage, if the company needs to change gears to scale up using VC funding, they need to be prepared for a fundamentally different way of growing the business. If they are not prepared, they may miss out on some large opportunities. To summarize: It was, as Sharad Sharma put it, a very thoughtful discussion, do watch the video for mode details. This article was originally published in iSPIRT. Read the article here. Previous Previous post: All successful startups are great examples of learning from failures. Next Next post: What can we learn from the ice bucket challenge?